It truly has been an interesting year for mountain biking. We’ve had some great events, amazing results and there has been some sad news too. But, let’s not forget the weird and wonderful bikes of 2016, those bikes that set your social media feeds on fire! 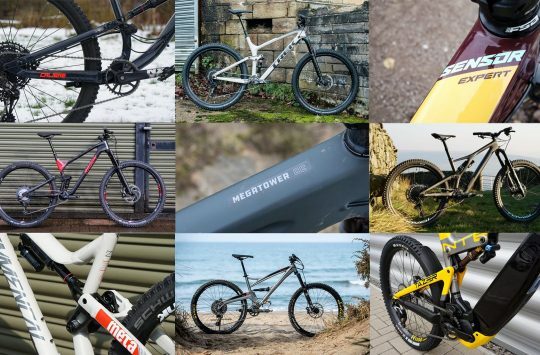 Let’s look at the top 10 WTF bikes of 2016! 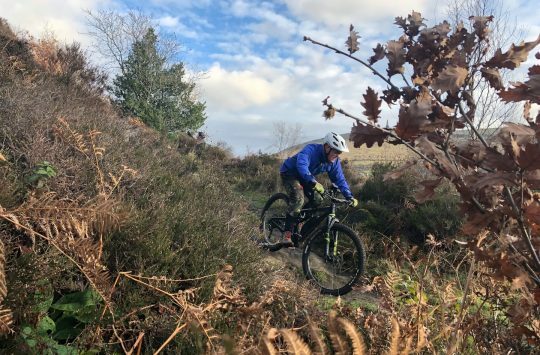 It’s the off season for the girls and boys of the downhill circuit so they’re all out training and testing for the coming season. 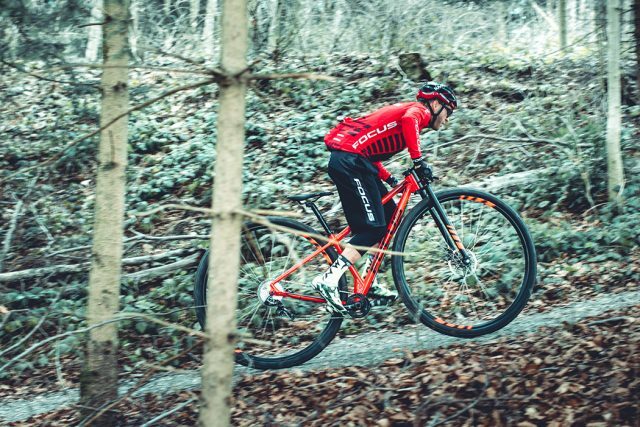 It’s a time for team rumours and also a time when we get to see some weird and wonderful bikes like this highly modified Santa Cruz Hightower. It’s no secret that Greg Minnnar rode the 135mm, 29er Hightower at the EWS in Finale Ligure, Italy, but could we see the bike at some WC DH rounds in 2017? The photo taken from Instagram shows the Hightower fitted with a Fox 40 DH fork up front with special black stanchion tubes, and shorter 170mm travel. It’s also purported that the rear link has been modified to increase the rear travel from 135mm to 150mm. If this does make a debut at World Cups next year though, it likely won’t be the only 29er downhill bike on the circuit. 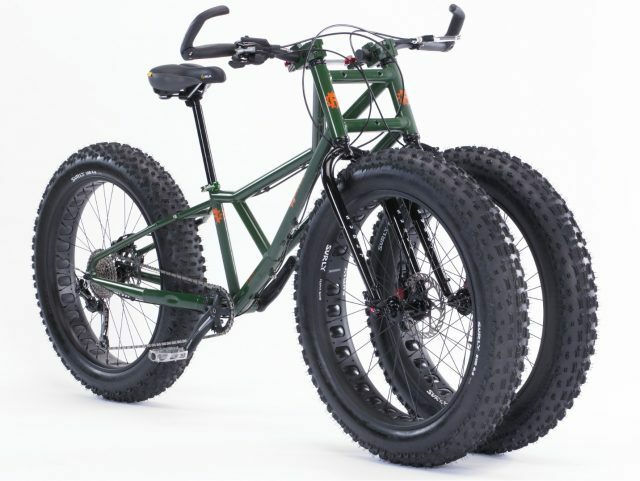 When 29er+ isn’t big enough.. The Bigbird was a one off all alloy cross country race machine that was built on the idea that bigger is better. How big? 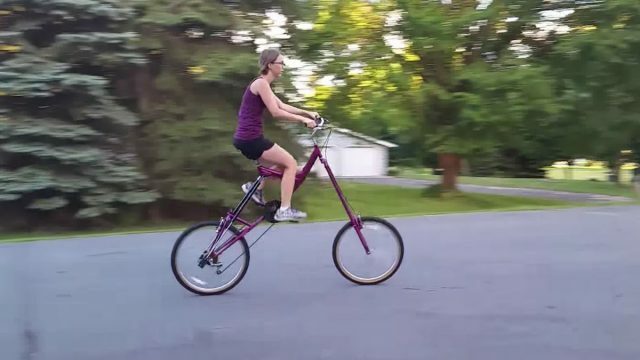 Well it has massive a fully rigid dual crown fork, a huge gusset at the bottom bracket and sun eclipsing 36-inch wheels. The Focus Bigbird was only produced as a one-off and Focus teased fans for April Fools day, but could there by a market for such a monster truck? Ok now we’re in a bit of a bind.. We’ve already used “monster truck” to describe the Focus Bigbird, so how do we describe this without repeating? The Rangu is the bike that stayed at the dining table for seconds, thirds and more this Christmas, scoffing enough to fill its third wheel and agricultural ladder frame to the brim. Ebike option with monster battery. This juggernaut (nailed it!) 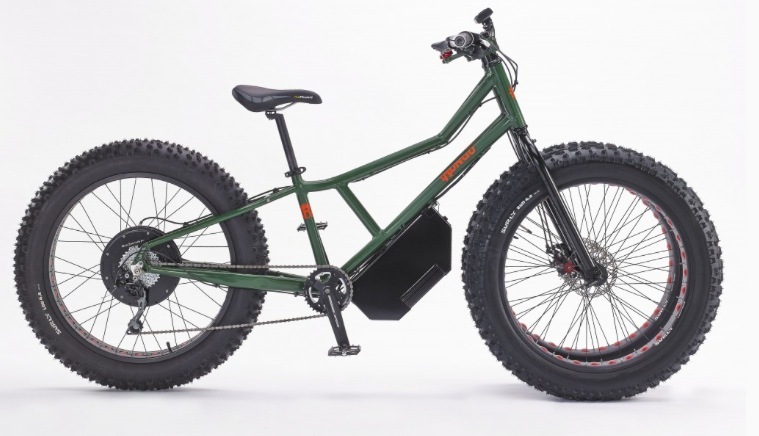 of a bike comes in standard pedal drive or with an optional hub motor on the rear, but we’d like them to go the whole hog with a motor in each wheel for some true rock crawling action. As a final note and to answer a question we know you’re all asking, the answer is yes you can fit suspension and you can run regular 29er wheels too. Watch the video to see this thing jump! Sticking with the “double” theme we come to this contraption. Robot Bike is the purveyors of the Robot Bike R160 (see our first impressions here) a bike that has had us wonder if a second mortgage and maxed out credit card are really that bad to live with. 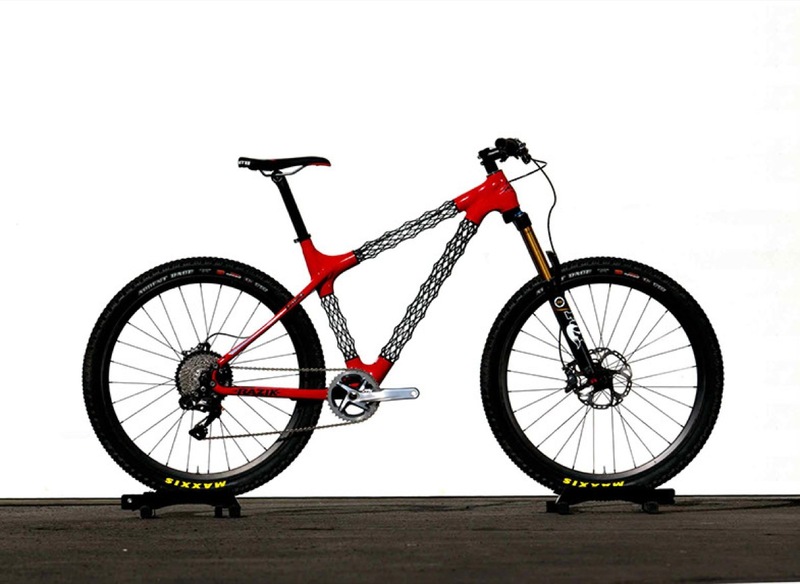 The R160 is a custom made, Titanium lugged enduro bike plumbed together with carbon tubes. 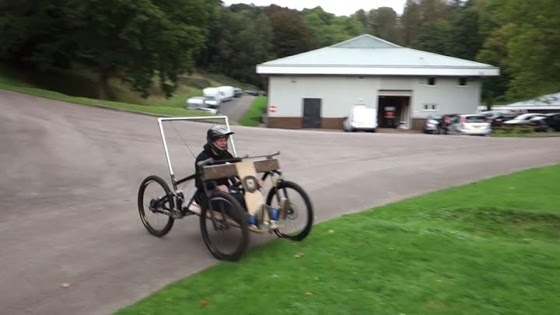 The frame alone costs around $4300, and full bikes start from £7500, their soap box racer uses two for those frames and costs £12,000! Go on, just try to figure this out.. 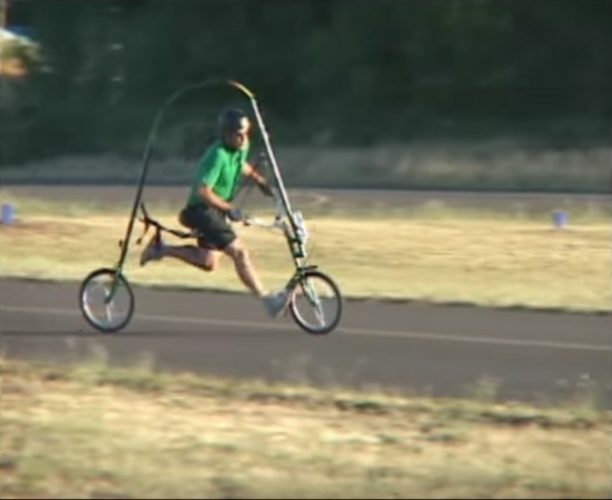 The obvious path for us to take now would be to list that bicycle powered Corsa we posted at the end of October, but the best thing about odd WTF bikes is we don’t have to follow the norm. 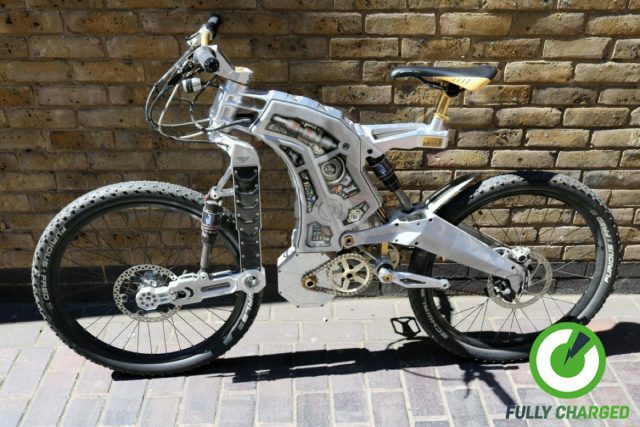 In the case of this Kona Ebike treasure we discovered though, perhaps being a little more conventional would have been a wise move? 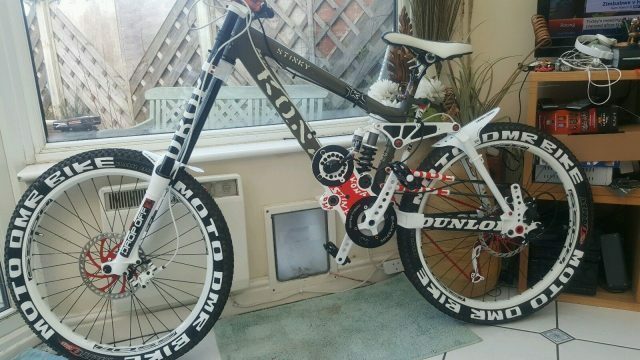 What’s really amazing about this highly modified Kona Stinky isn’t the homemade gearbox, those TWO additional “dampers” (they look like the struts off a Sierra boot), the retro drilled cranks for weight saving or the over use of white decals. No, what’s really interesting is trying to figure out what problems all those additions were meant to solve? As an added brain teaser we also wonder how the decals on the fork stanchions remain in place each time the seal wipes over them? Mind blown! Running without the knee problems..
From excess to simplicity! The next ‘bike’ on our list is the Glide Cycle, less of a bike and more of a baby stroller for adults. The idea of this baby (we think) is to take away the shock running has on your knees while still allowing you to head outside (yes, they expect you to use this outside where other people are) and enjoy are good bit of exercise. And you though the Robot Bike R160 was expensive! Yup, lulled you in to a false sense of security there. The old “Wait till they are half way through an article and throw an Ebike at them ruse”. To be fair though, this isn’t legally an Ebike in the UK, and even our Ebike loving hearts can’t find anything to like about this beast. The Terminus is its name, and interestingly the latin name for the Terminators Biceps. It’s made from heavily machined chunks of Titanium and alloy, with a linkage fork and 90’s inspired seat tower. Driving the bike is 2000w of throbbing motor power, enough to get the bike to over 40MPH! That’s 8 times more powerful than legally allowed for a pedal assisted bike in the UK and 25MPH faster. Other interesting figures are the £38,000 new price and the £15,950 Buy It Now Price when it was listed on Ebay earlier this year. We’re back to XC bikes again and now we have the Razik Epitome to eye fondle. If you have a secret interest in weird and wonderful bike designs then the Razik isn’t anything new to you, we believe they’ve been around for quite a while now, but that also means there is a market for them too! We totally get the idea behind the bike, but does that lattice work of carbon save much weight over a paper thin alloy tube? Also, won’t all that weight saving become mute once you ride along a gloopy, muddy trail? Yes! This is it! This has to be the future of cycling. The Cyclotron jumped on to the internet back in January of 2016 and while the project has been quiet, we are still hoping that this retro futuristic beauty will eventually become a reality. The designers or the Cyclotron had some really good ideas, if you look past the odd design and fairly flex backend (see video), including handlebar positions to switch from sport to comfort modes, smart app controlled features, and innovative “slot modules” that slip inside the spokeless wheels. These modules could then be used to carry groceries, or even attach an optional futuristic rickshaw. The Transformer of the bike world! Last but not least is this! The Tall to Chopper bike which does exactly what it says on the tin! In ‘Tall’ mode the bike looks like something a clown would ride in the circus, with long forks and a super short wheelbase. The design might look odd but it does also look pretty useful for seeing over traffic while the short length could mean a skilled rider could snake around cars with ease. At the flick of a switch though you can convert to ‘Chopper’ mode, bringing the rider closer to the ground and stretching the fork out for more stability and a “Harley Davidson” look. You can see the Tall To Chopper in action in the video below! 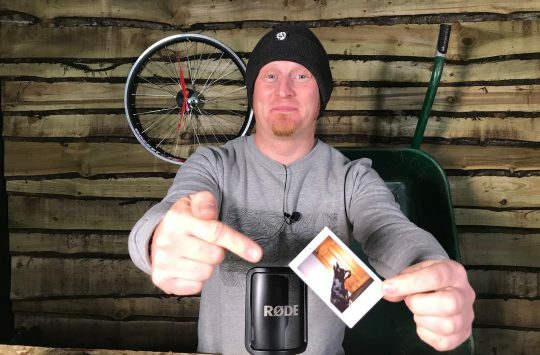 We know there are pleny more weird WTF bikes out there and we would love it if you add your own favourites to the comments below! Completely missed the Focus Bigbird in April. Good work Focus!